Waterloo – Wilfrid Laurier University is offering its first annual Ignite Your Teaching event, a professional development opportunity for instructors at Laurier and surrounding educational institutions, which will be held on Aug. 21 at the university’s Waterloo campus. 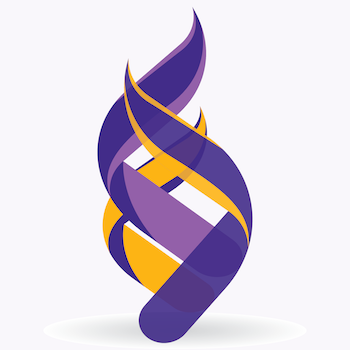 Ignite Your Teaching 2018, a partnership between Teaching and Learning and the Faculty of Education at Laurier, will bring faculty, industry leaders, and professional staff together. Using active and innovative methods, attendees will explore the importance and implementation of computational and design thinking in higher education and why they are essential skills for student success while in university and in their careers. Computational thinking describes the process of formulating and solving problems using the principles of computer science to arrive an efficient solution. Design thinking presents a way to tackle complex problems by reframing them in a human-centric way, and finding solutions through hands-on testing and prototyping. Benjamin Alarie (BA, ’99), Osler Chair in Business Law at the University of Toronto and affiliate faculty member of the Vector Institute for Artificial Intelligence, will kick off the program. Alarie is the CEO of Blue J Legal, a company using machine learning and artificial intelligence to make the law more transparent and accessible. Alarie draws on these next-generation technologies to foster student learning and insight in his tax courses at the law school. Following Alarie’s presentation, a panel of Laurier faculty members will discuss the ways computational and design thinking could be employed in their classrooms, along with the potential developmental benefits to students’ problem-solving and creative-thinking skills. Partners from Google, SAP, Voltera, and the Laurier Archives will headline the afternoon industry panel. Ignite Your Teaching runs Aug. 21-22 at Lazaridis Hall. Aug. 21 is open to Laurier instructors and interested higher-education professionals from other institutions. Aug. 22 features an active learning workshop open to Laurier instructors only. Register by August 16.